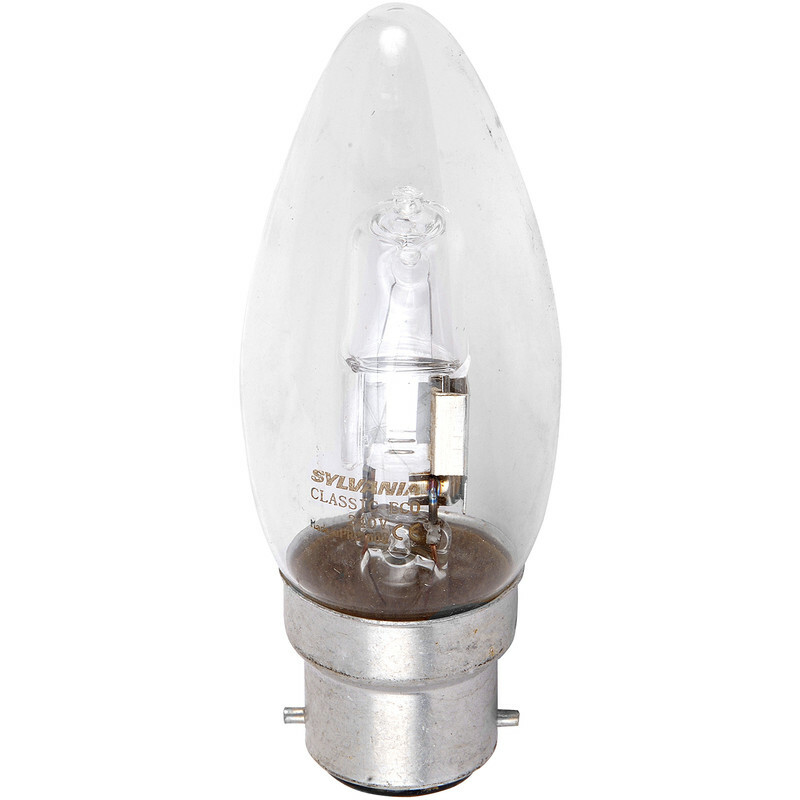 Sylvania Energy Saving Halogen Candle Lamp 28W BC (B22d) 370lm is rated 4.1 out of 5 by 25. Rated 4 out of 5 by Emsworth 52 from 'Green' bulbs Good value for money and prompt delivery. What's not to like. Rated 5 out of 5 by McZero from Great company and good products Good bulbs. Use them all the time. Rated 1 out of 5 by Jules18375 from Look nice but awful quality We bought 4 of these and they look nice and give a good light (for some bed-side lights). The quality is appalling though. They claim 2000hr each but within a month 3 of them have gone already. in two different lights too, so not a problem with the light itself. Rated 3 out of 5 by Another fine mess from Nice glow I purchased a dozen of these but had to take 2 back. Doesn't say much for quality control.Some internal elements were broken.Saying that,looks good in our chandeliers.